This article is written to support employees with reducing their National Insurance Payments legally. 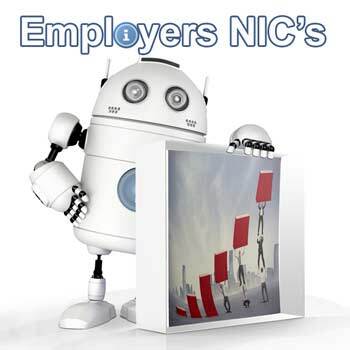 If you are an employer, please review our employers guide to National Insurance and try our Employers National Insurance Calculator to calculate your employees NIC costs. Ever thought about how you could reduce the amount you pay in National Insurance Contributions (NIC's)? Haven't we all. National Insurance Contributions (NIC's) are calculated using specific NIC bands. NIC's are calculated using a percentage of pay, percentages paid are dependent on the amount you earn and your circumstances. There are a number of ways in which you can legally reduce the amount you contribute to National Insurance. Pay into a Company Pension Scheme. Most employers now provide a company pension scheme that can be paid into directly from your salary. The amount you pay will be tax deductable (caveats apply). In addition to reducing the amount you spend on National Insurance, you will also receive an additional 20% from HMRC (recoverable). Pensions are increasingly well supported by the UK Government with the continually extending lifespan of the general population. Pensions afford an excellent means of reducing your National Insurance payments as well as providing financial security in the future. Ask you employer to reduce your salary and pay a bonus. If you have children, seriously consider child care provision, the Child Care Voucher Scheme is a good place to start.